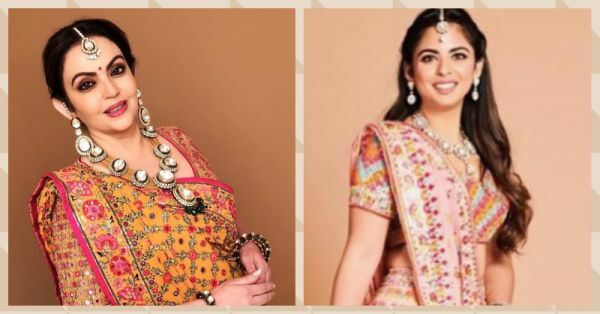 Flower Power: Isha Ambani Is Twinning With Mommy Dearest On Her Big Day! 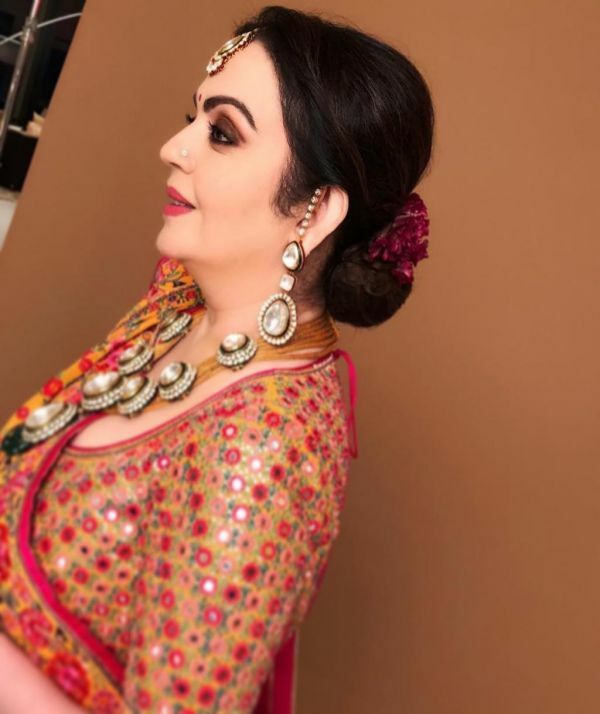 According to MUA Mickey Contractor, mother of the bride, Nita Ambani, is all decked up to rock the night for lsha's wedding celebrations with a dandiya night and ceremony where you take grandma's blessings! 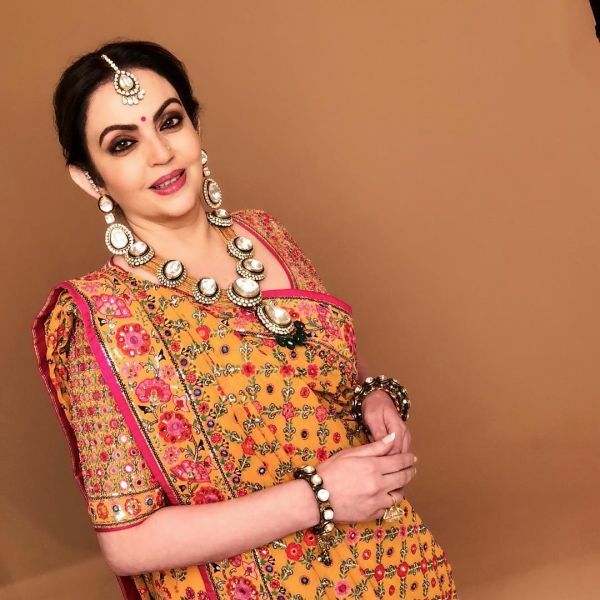 Dressed in a gorgeous floral Chanya Choli designed by Abu Jani Sandeep Khosla, we bet Nita Ambani will be bagging plenty of compliments tonight at the dandiya fest. We're also lovin' her hair and makeup for this grand occasion. 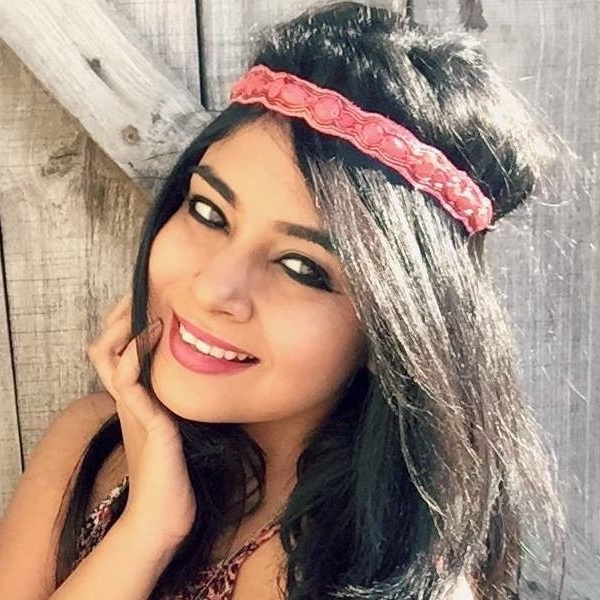 Kohl-rimmed smokey eyes, glossy raspberry lips, structured brows and a subtle hint of blush on the apples of her cheeks - we think her makeup game is on point here. Don't believe us, you must see for yourself! This picture is pure gold. A polki necklace with matching maang tikka and her crystal bangles are making quite the fashion statement here too. Brownie points to her hairstylist, Hiral Bhatia, for styling her mane into an elegant floral low bun. Doesn't she look stunning? We think so too! However, this is just the beginning. Abu Jani just posted another photo and the mother-daughter duo seem to be twinning! 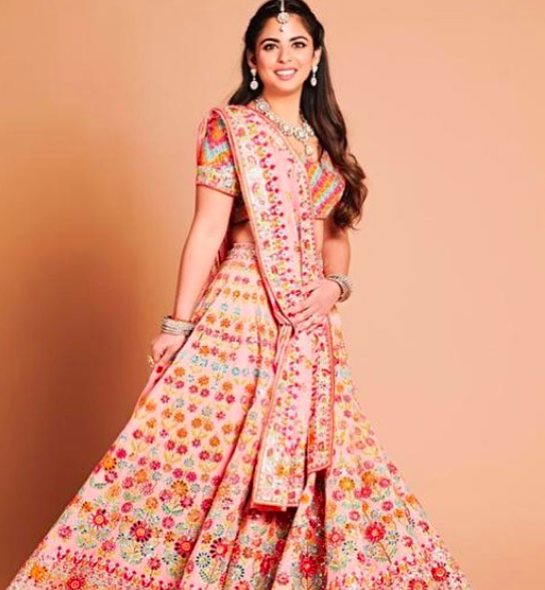 Isha is wearing a floral lehenga quite similar to mommy dearest. And of course, a matching polki set to go with it. The night is still young and we can't tell you how excited we are to see more pictures of Isha Ambani and her fam!